1st Albion Park Scouts particpated in their 1st JOTT on Saturday 8 May with a hike at Barren Grounds State Recreation Area. Our group on the day consisted of 2 leaders, 2 parents and 7 scouts. Our first hike of the day was to Cooks Nose, an 8 km round trip, which provided wonderful views of the Shoalhaven area from Berry to the coast. After lunch we proceeded to Illawarra Lookout for an even more spectacular view of the Illawarra from Jamberoo to Stanwell Park in the distance. All had a wonderful day on the trail and will be back to do it all again in 2011. 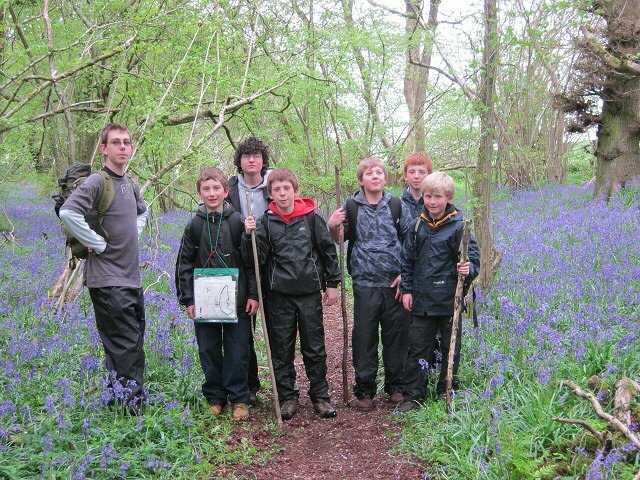 63 members of the 18th Swindon Scout Group and a number of adult helpers joined the JOTT on the 9th of May 2010. 17 Beavers had a trek around Barbury Castle and had lots of fun. 12 Cubs and 28 Scouts walked a historic walk around Ramsbury that took in the Manor, the WW2 Aerodrome, Littlecote House (A Tudor Manor), and the nearby Roman Villa with its restored mosaic. The Cubs walked as a Pack and the Scouts walked in Patrols. 5 Leaders and 1 Young Leader also joined the route. The weather was rather cold, and we had some rain, but it did not dampen the spirit of the 18th. We eat Fish and Chips after the hike, then the Scouts pitched camp, and played games before sleeping off the day. On Sunday the Scouts completed their week-end hikes walking a few more miles to Aldbourne, and earning one of the hikes towards the hiker’s badge! We had had a wonder hike last Saturday. We were quite worry about the weather as it was pouring heavily early Friday morning, but with the help of God, the weather was fine, no rain, a little sun and not so hot with some light breeze. Just great for hiking! With the Jamboree on the Trail (JOTT) activity now celebrating it’s 13th year in existence, Jordanstown Scout Group decided to celebrate the event in style. 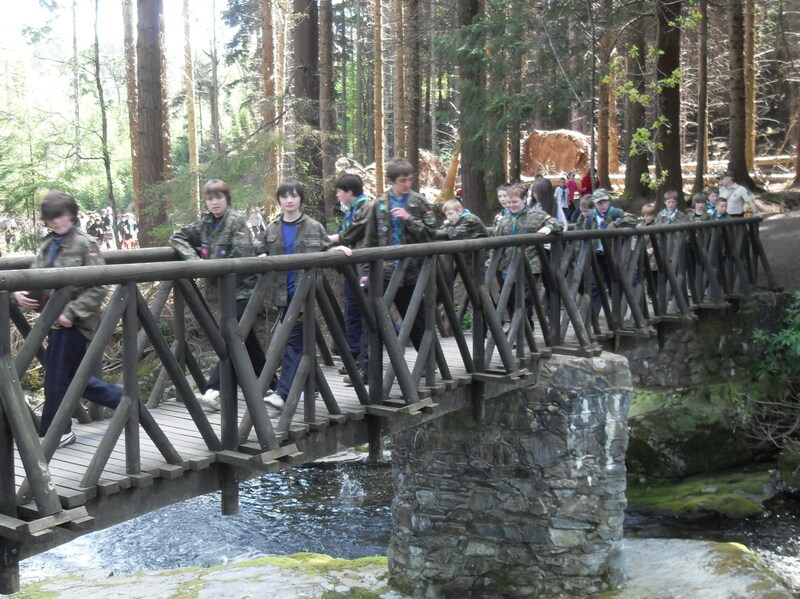 30 Scouts, Explorers and Leaders set up a base camp in Tollymore Forest Park on Friday 7th May, as an advance party for the main group’s arrival the following day. Using the Saturday morning to practise Canoe Capsize and rescue drills in the nearby Shimna River, they returned in time to see the large contingent of Beavers and Cubs arriving with their Leaders for the lunchtime BBQ. Properly fed and watered, a total of 78 Beavers, Cubs, Scouts, Leaders, and Parents set off on the 5.5 km hike around the outskirts of Tollymore Forest, passing the Hermitage, crossing Parnell’s Bridge, and returning nearly 2 hours later via the Stepping Stones River crossing. Meanwhile a group of Explorers and Scout Mountain Leaders tackled the more challenging peaks of Slieve Bearnagh and Meelbeg. The weather throughout the weekend was fantastic and really helped to make the event more memorable for everyone who attended. 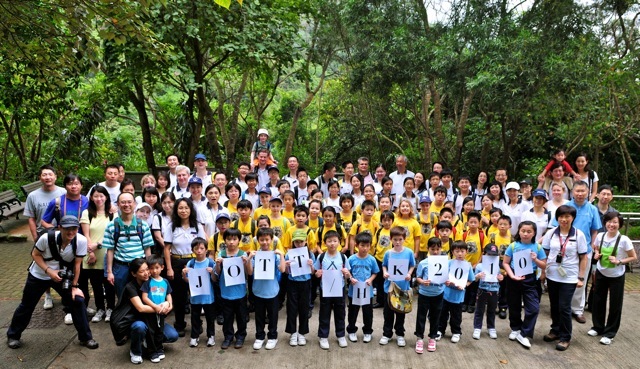 To celebrate the achievement, everyone was presented with a commemorative JOTT 13 badge, supplied from the International Headquarters in Canada. By 4 pm, the campsite returned to relative quiet as only the Scouts, Explorers and their Leaders remained to spend a second night under canvas, after some very exhausting wide games. Finally by 2.30 pm on Sunday the last tired, weary Scouts and Leaders returned their kit to the group store and headed off for a well deserved Sunday afternoon nap. JOTT 13 really was an excellent experience!